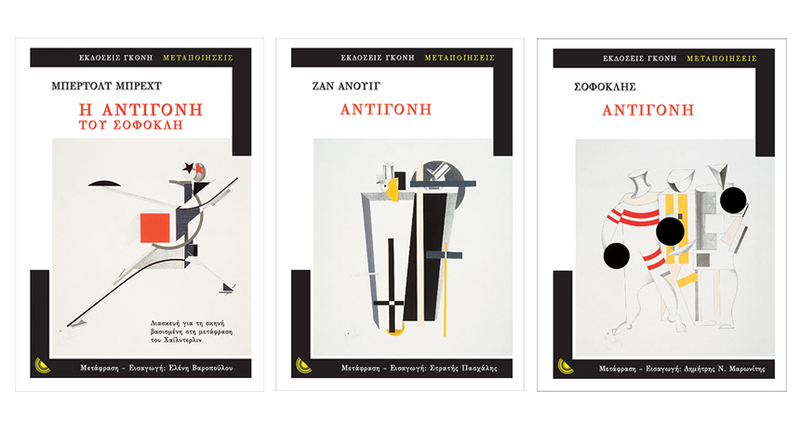 We were asked to design a series of new editions based on Sophocle's "Antigone". These included Brecht's "Antigone", Jean Anouilh's "Antigone" and a new translation of the original tragedy by Sophocles. For the three covers, we chose to use El Lissitzky's ink drawings from "Victory Over the Sun". 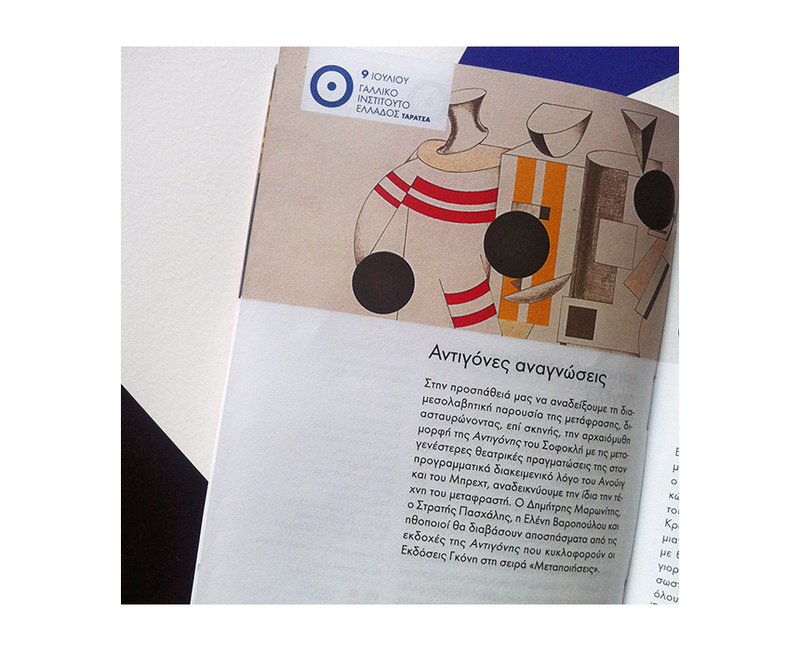 An event celebrating the publications, including reading sessions from the books, is part of the 2015 Athens Festival.